I was using a form on one of my sites and had a leap in conversions by using a button that was red and when a browser put there mouse over it the button would turn green. 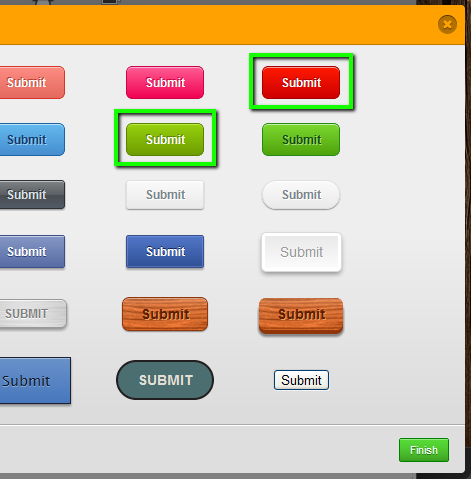 Is there a way I can customize one of your submit buttons? I am heavily leaning towards using your form service for all of my sites because of they are so easy to use. Great service! The colors (of both the normal and hover states) can be edited to suit your tastes, or rather, to generate the most conversions, which is the real objective. An active state (the period after the button has been clicked and before the thank you message appears) can also be included if desired. If you need assistance with customizing this solution for one of your forms, we'll be glad to help.